Waking up “Make In India”!!! In a week from now, Mumbai will host the “Make in India Week” – an event planned to give fillip to one of Modi Sarkar’s flagship program – Make In India. This was aimed at reviving the interest of domestic and MNCs in setting up/expanding manufacturing footprint in India – a sure shot elixir to tackle the unemployment malady and create millions of jobs. When this Govt. kicked off this initiative, one would have expected more cheers than jeers. However the reality was different. Leaving aside the noises from the opposition which anyway criticizes what the ruling Govt. does in India (this is irrespective of who is in power and who is in opposition), the naysayers included reputed economists and thinkers. They were of the view that it was too late for India to board the “Manufacturing” bus. China is already in the driver’s seat being the “factory for the world” and global companies are already heavily invested in China. Also the general view that with increasing automation in the shop floor, you don’t need much of low cost labour for manufacturing. So betting on manufacturing to generate millions of jobs may not be a cool idea any more. The session during the recently concluded World Economic Forum in Davos about “The Fourth Industrial Revolution” powered by Connected devices, 3D printers, Super Smart Robots and the like,… probably put paid to this idea of the critics. So instead of playing the catch up, the cynics’ view was that India should play to its strengths namely “Services” and invest further in developing soft skills to scale up further. There is probably merit in this argument. However if one analyses the different states of India in terms of the economic condition it is clear that no state can hope to survive and grow by just focusing on services. For a diverse country like India with a huge disparity in income and social strata an even economic growth can be achieved only with a mix of manufacturing, services and agricultural activities. The top states in terms of GDP in India like Maharashtra, Tamil Nadu,.. have a very healthy mix as I noted in one of my earlier posts on “Car manufacturing” in Chennai (Read here). A fourth Industrial Revolution may augur well for developed countries with shrinking population, ever rising wages and diminishing demographic dividend but in India we still need to reap the benefits of the 2nd and 3rd. So I think that this Govt. is right in pursuing the Make In India initiative particularly at a time when China is facing economic headwinds. The labour in China can no longer be termed cheap with wages ever-increasing to keep pace with the aspirations of the people. Many of the global corporations do not want to put all eggs in one basket that too Made in China😁😁. I know for sure that the Japanese are expanding into Vietnam in a big way for production. So could be other countries like the US, Germany,…,.. soon. So the moot question is are we positioned well to make them Make In India?? As the logo of India’s Make In India program demonstrates, there are many cogs in the wheel for a country to be successful in manufacturing that too for the world. Cheap and Skilled labour, Vendor base, Access to cheap raw material, Quality awareness, Access to ports and logistic hubs (particularly for exports), flexible labour laws, Ease of doing business (which applies not just for mfg.) and above all a very efficient infrastructure (Roads, airports, ports, broadband connectivity,..,…) in short a “pro manufacturing eco system”. And for India while all the other cogs could fall in place over time, the biggest challenge is in infrastructure. One would argue that the eco system will be in place when growth picks up and factories are set up. Necessity is the mother of everything you know. For example wasn’t Gurgaon just a “Gaon” before Maruti?? Today it is a recognized Auto mfg. hub. Similarly there are many examples of PSU Units which were set up first which then turned out to be manufacturing hubs in course of time. Goes the argument. No argument can be more specious than this. Maruti was set up at a time when India was a protectionist state where the promoters (in this case the Govt. of India) can patiently wait for more than 10 years for the 1st car to roll out! Same is the case with many PSU units where the overarching mission was upliftment of the society rather than shareholder value or profits! Not in these “QSQT” (Quarter Se Quarter Tak) days!! !😁😁 And in these days of strict WTO regime the Government cannot slap high duties on imported goods to protect the local manufacturers. So for Make In India to succeed India needs to get the Eco system right first up. While India has a natural advantage in some aspects like availability of not just cheap labour but also skilled, large Engineering pool,.. the road is long for areas like “Ease of doing business” and Infrastructure as I mentioned before. And fortunately the Govt. has rightly recognized these challenges. Its’ for the 1st time that a Govt. website has spotlight on “Ease of Doing Business” like in the Make In India home page, I reckon. See here. It was a pleasant surprise to see the list of initiatives already taken and ones on the way when I clicked on “Ease of Business” tab. And it is also great to see every day in Newspaper one state or the other hosting Investor summits to lure potential investors with Make In India being an important aspect. So while pitching for investments is all right, I think the state Govts. must also focus on getting the infrastructure in place in their respective states which helps not just manufacturing but in general fosters economic activity. Today inspite of higher labour costs if many companies are still outsourcing mfg. to China it is because of their fantastic infrastructure overall which helps to keep indirect costs lower. India’s labour costs is lower but the indirect costs due to poor infrastructure weighs us down. “Chinpressions” – Impressions from another of my China visit – Part 3!!! 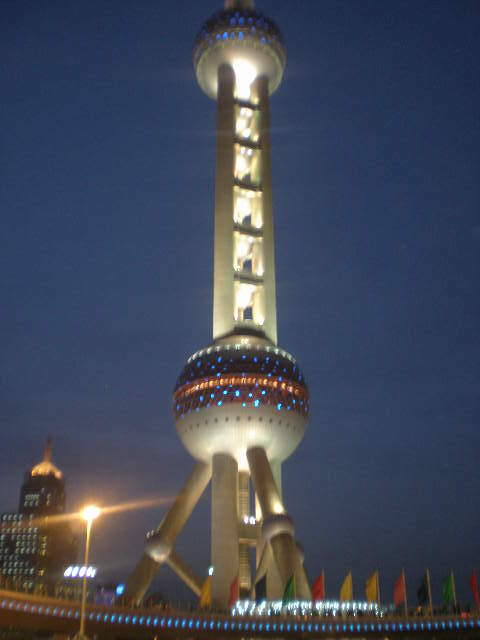 It was about 3 years ago that I made my 1st visit to China – Shanghai and wrote the 1st part of Chinpressions. Read here. In between that and my last visit this week, many more visits to China happened. Ergo, 3 years hence what are my impressions? 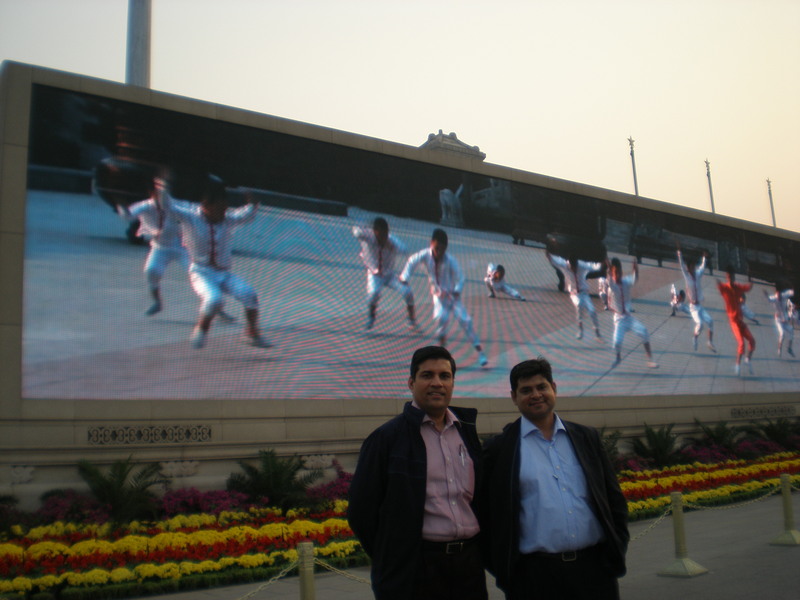 The visit this week coincided with Narendra Modi’s another foreign tour – this time to China. So obviously India was in the news. As is the wont these days in our PM’s abroad visits, he was in “Rock star” mode in China as well with local Chinese craving and crowding to take selfies with him. It’s obvious that in the last 1 year Modi has single handedly changed the perception of India for the better outside of India. It’s clear that despite the pretensions of the Government taking China to being in the league of developed nations, it is still haunted by a few trappings of developing/underdeveloped countries. Which the people are yet to shrug off it appears. Like the locals not caring about courtesy to others and smoking to glory in public washrooms. Like invariably the noisy scenes you get to see in restaurants when Chinese get together to dine and drink. (Something like we Indians I must say). Like for all the fascinating sights at “The Bund” at Shanghai (Clean, colourful, Hawker free,..,…) the urinals are still the old world style not seen even in towns in India these days. Like finding grills in windows in residential apartments a la India type just that they were more uniform and still not spoiling the elevation of the building unlike in India where grills of all types and sizes spoil the frontage of most buildings. Most of the above fall in line with the definition of “High Context Culture” as defined by Edward T. Hall in his seminal work – Beyond Culture, I feel. So not surprising. But, these are just symptoms waiting to disappear soon I guess. Despite the current ills like ever rising labour costs, China continues to be the factory of the world. Global companies don’t have an option but to court the Chinese. Like Apple’s Tim Cook was attempting to do when he was in China last week logging on to “Weibo” – the Chinese microblogging site akin to Twitter. (Modi did the same on his run up to his China visit). The ever increasing aspiring class is a segment of the world’s largest population that just cannot be ignored. But one thing which continues to amaze me in China even after being the world’s largest populous country is – Where are its people?? 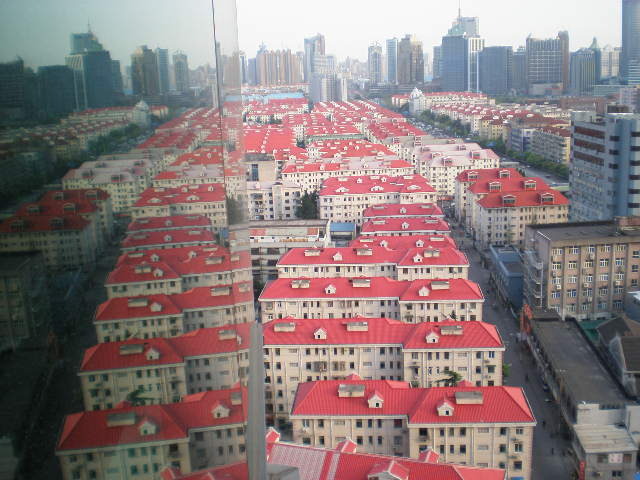 For example in Shanghai the world’s most populous city – you don’t get see crowds in the roads, in the malls, in super markets, in train stations,.. So where are they??? Let’s see if that mystery unravels in the next visits. 3 years hence, the impressions are still very good but may be the shine has worn a little bit. 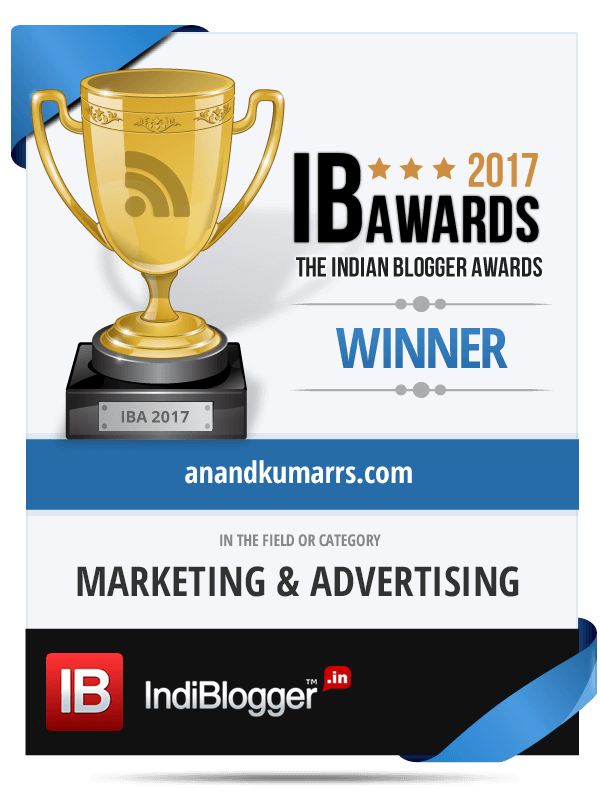 Indian Elections – Truly Sensational!!! On a day when one has been busy following the results of what has been touted as “Semifinals” i.e. the elections in few states of India, one cannot but feel happy/proud at the way the whole election process works in India. Elections in India today, whether they are the state elections or the Lok Sabha elections happen in a very smooth manner, well almost. The Election Commission (EC) which is an independent constitutional authority is responsible for conducting elections in India under the frame work of the Representation of Peoples Act, 1951. From the time the elections are called till the results are announced after counting and governments are formed, the entire process rolls out like a well-oiled machinery. There are very few parallels in India to the EC if you talk of “Sarkari” offices discharging their duties so efficiently. However it was not the case for quite some time since Independence. Today, the moment elections are announced the political parties come under the purview of what is known as “Model Code of conduct”. As per this, among other things, the Government of the day cannot announce any luring sop or launch any program which can influence the voter once the elections are announced. In addition to this significant point, there are other mandatory requirements as well. Mind you this Model Code of Conduct is not any law under the statute but an ingenious intervention by Seshan to make the elections free and fair. Since then this Code of Conduct has been refined to include many other clauses as well and is today an established drill followed with discipline. the elections being conducted in a phased manner (and not in a single day as it used to be in the 80’s) so as to ensure sufficient police and security forces being made available across the state. 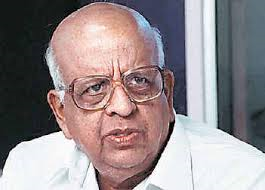 When Seshan announced his plan of conducting elections in phases for the 1st time, it took everybody by surprise and there were many who questioned his wisdom evoking fears of keeping the ballot boxes safe,.. But he stuck to his guns and now, phased conduct of Lok Sabha elections and elections in larger states has become the norm and no EC even thinks of conducting elections in a single day. That he was in the Home Ministry earlier helped him to assess the logistical challenge for the troops movement. The model he came up for scheduling phased out elections is part of the EC’s Standard Operating Procedure. The introduction of the Voter’s identity card: One fine morning in Aug 1993, a maverick he is – Seshan announced that no more elections will be conducted in India without voter identity cards which have the photo and other details of the voters. It was an exercise of gargantuan proportion to issue a photo I-Card to all eligible voters and this call certainly put the Government in a quandary as to how the same could be implemented. Seshan thumped his foot down on this (as he always did) and got the Government to allocate funds in the budget and got this project underway. He relented only a bit in terms of time frame but ensured that the Government commits itself to this cause. I must add that for a complex country like India such a project needs a better project implementation rigour. Due to the very aggressive posturing of Seshan, the project got implemented though in a hap hazard manner (lot of mistakes in the cards, Duplication, Inadequate coverage of the entire population,…). 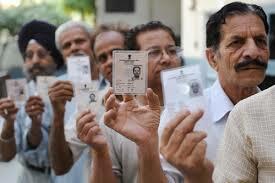 Nevertheless the need for a Voter ID got in vogue in the country and still is. Enforcement of spending limits by candidates: The existing limits for spending for candidates always appear to be some kind of a joke when you actually see the kind of money which gets spent oops “invested” in elections. State funding of elections has been an idea which has been going the rounds but which needed legislation. In the meantime, Seshan introduced the concept of having officers going around the length and breadth of the electorate and filming/recording activities the candidates carry out in the garb of electioneering. With this initiative there have been very many instances where candidates have been disqualified post their victory under charges of unfair practices. Though money power is still omnipresent it is not as obvious as before. Cancelling/Ordering Re–poll in case of mal practices: Seshan was quick to make assessment of any reported mal practices which happened on the polling day or before and order re-poll in those constituencies. This became an effective barrier for such activities. Now when he brought in all these changes did the Government of the day keep quiet? Well not at all. It did its bit to clip his wings by making the EC a multi member body with one Chief Election Commissioner and 2 Election Commissioners. (Earlier it had just one CEC). Fortunately this change didn’t affect the functioning of the EC and may be made it more robust. Since Seshan, India has been fortunate to have some illustrious officers who served as CEC and continued the autonomous working style and authority of the EC. But to Seshan’s credit it must be said that we have not seen many substantive changes or game changing ideas since his departure. The EC has been by and large following the broad template Seshan had evolved for conducting free and fair polls in the country. Seshan is reported to have famously said that men from Palghat were either great cooks or classical musicians or good bureaucrats. So as per him, that he was a good officer was because of where he hailed from. That was a very simplistic self-assessment of a man who was not known so much for his humility but certainly reputed for cleaning up Indian elections once for all. In the corporate board rooms of many multinational corporations the “India Story” which was weaving itself has now given way to “India Sorry” with accompanying pathos. The overwhelming feeling is of a wholesale deprivation of the aspirations of the talented Indians by their political masters. “Incredible India” is desperately ‘in’ need of a ‘credible’ script, actors, technicians and the works. Flash back to the 2003-06 time frame, thanks to the easy money flowing in from the developed markets to emerging markets that included India, the markets were on fire. Pundits and others claimed that a GDP growth of 7-8 % is the base line rate of growth, come what may and if Govt. and administration did its bit (and If China gets to host events like Olympics 🙂 ), we could head towards 9 – 10 % growth. The party was briefly interrupted by “the Lehman shock” the tremors of which shook the world – developed, developing and others. I say briefly because within a year or so markets like India and China not only recovered but were again breathing fire. This time the stimuli announced by developed countries like the US, Germany,… injected funds into the monetary system and once again easy money found its way here. This was when the “India Story” was running full houses worldwide. I recall seeing and hearing of many multinational companies having their Board meetings in India that time. Expansion plans for global companies seldom excluded India. Forex reserves were booming whether it was thro FDI or FII money. If you look at it now, that kind of over the top India focus and fuss became detrimental to India’s future. For, the rulers(UPA-I) started imagining and talking of India which is “decoupled” from the world without realizing that if structural reforms are not put in place, the “India Story” will turn apocryphal when the flow of easy money stops. And that’s exactly what happened. This is explained beautifully in Ruchir Sharma’s book –“Breakout Nations – In Pursuit of the Next Economic Miracles”. While he analyses many emerging markets and gives his verdict, as far as India is concerned his verdict is a 50:50 chance for India to breakout. I suspect that his own patriotic “Indian at heart” feeling came in the way of saying that the chances are pretty dim for India to become a breakout nation. Ruchir also says that we will have to get used to the “New Normal” of Pre 2003 GDP Growth which is 5.5-6%. My own sense is that if India had focused on Governance, the situation would not have been as bad as it is now inspite of the global liquidity party getting over long while ago. 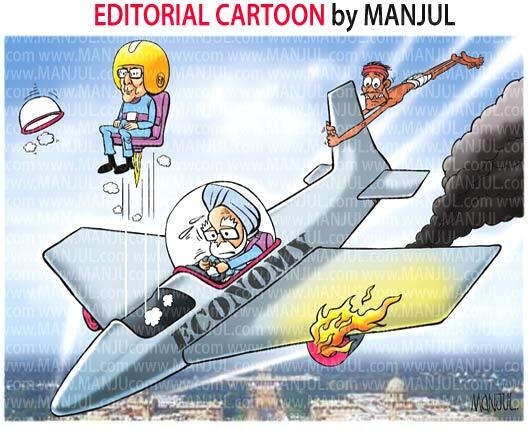 However in India the politics of economics is a deadly game. So instead of focusing on Governance, the Govt. headed by a Cambridge educated Economist was economic in Key decision-making and thereby introduced “policy paralysis” in the lexicon of the opposition/Industry and corporate reviews. Many observers are in unison when they point out that the Union budget presented by the present President of India in the year in the year 2012 as finance minister was the tipping point that led to world relegating India as a foot note in their strategy documents. Pranab Mukherjee amended the Income Tax Act, 1961, to impose a retrospective provision for tax on some types of global mergers, including Vodafone’s 2007 acquisition of Hutchinson’s assets in India. Even for a lay man it is difficult to fathom how somebody in the Govt. can think of passing an amendment with retrospective effect when companies have taken decisions to invest based on prevailing laws of the land. That this controversial provision passed through the FM, the bureaucracy and even the PM is till today a shocker for me. From then on it’s been a downward climb with downgrading of ratings, pulling out of money, slowdown in investments, falling off the Rupee,..,.. India got demoted while Pranabda got promoted 😦 😦 To compound to the situation, delay in environmental clearances for new projects, banning of mining, Telecom imbroglio, corruption charges all this made Indian investors to look for avenues outside of the country to invest. As a rearguard action, Chidambaram was brought in as the Finance Minister to succeed Pranabda and frankly speaking he has been trying his best. The decision-making wheels in the Govt. have started moving. The “Rajan effect” has been just short of magic. From the time Raghuram Rajan was made the Governor of RBI, there has been some great things happening in the economy the most important being the strengthening of Rupee. But the “Sir Newton effect” has been overpowering. Newton said “For every action there is an equal and opposite reaction”. So the reaction from the world now is of a wait and watch. With the Government in the December of its term, it makes little sense to investors and others alike to jump into the fray. For them it makes more sense to wait and see if India presents a credible and durable “Change” come 2014. And it is not just the world which is looking for a change in India but even within India the mood is the same. Though it is still not clear what the opposition’s clear economic agenda is, Narendra Modi the PM candidate for BJP is attracting attention all over. This can only be due to an overwhelming yearning for change. If that change happens, it will be interesting to see how they tackle the economy differently. Yashwant Sinha an Ex and potential finance minister in his book calls himself a “Swadeshi Reformer”. As oxymoronic as it sounds, except for opposing what the Govt. is doing, even he has not yet spelt out clearly BJP’s stand on key economic reforms. The last time I visited China which was incidentally my 1st visit to that country was a trip to Shanghai and Shanghai is what Mumbai is to India – a commercial and financial capital. 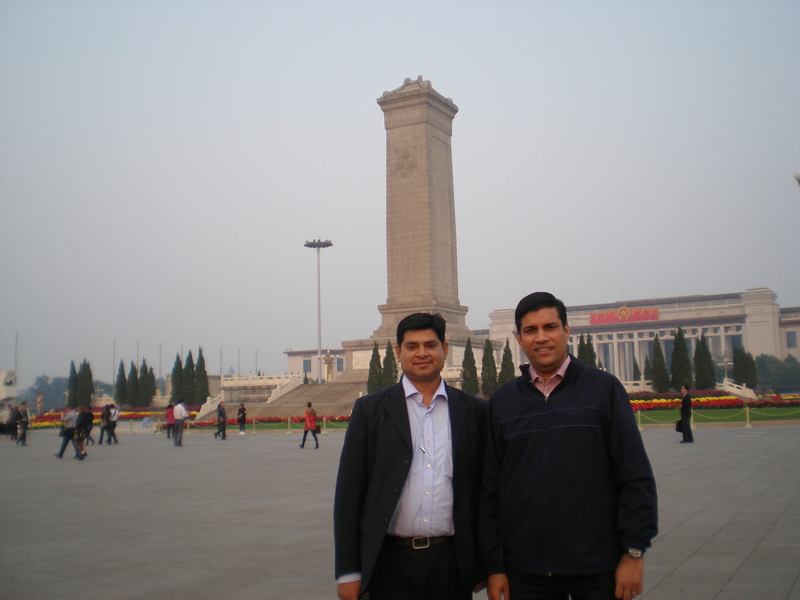 This trip from the 9-12th Oct, 2012, however was to Beijing – the capital of the People’s Republic of China – again a very short business trip to the “Delhi” of China. On top of my mind was to see how the “Olympicsization” of Beijing was holding up 4 years hence. This week was the 1st week after the “Golden Week” holidays and there was a good chance that I wouldn’t have made this trip at all. Just managed to get my visa few hours prior to my departure thanks to some intervention of my college mate. 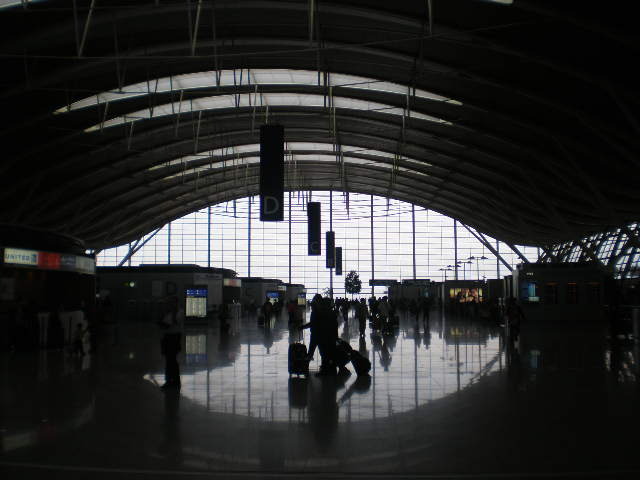 The airport which makes the 1st impression of a city was bit of a disappointment. On alighting out of the plane after a 6 hour flight had to scramble to find a rest room!!! The Beijing airport though good, didn’t seem great. The airport wore a deserted look on my return in the night that too just at 9.00 pm! The Duty free shops had pulled their shutters and finding a food court or a restaurant in that not too late hour of the night turned out to be a nightmare. Beijing had failed my 1st test. 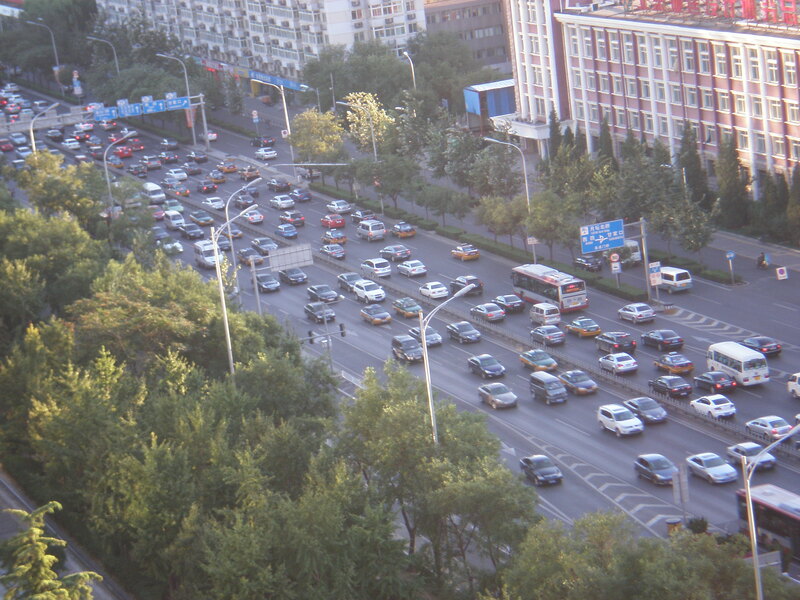 Beijing has all the trappings of a large global metro city – super highways, bumper to bumper traffic, big cars, ..,.. Surprisingly I could hardly sight small cars!! Unlike Shanghai, which has a lot of skyscrapers, Beijing has more of medium tall, uniform buildings constructed with aesthetics as seemingly last priority. The whole city resembles a town ship with uniform buildings. Police presence that too quite aggressively armed is omnipresent. Time and again we were alerted of the bad traffic scene in Beijing. But I must say that the traffic though very high was quite organised and was moving quite smoothly even during the morning rush hours. I was told that we were lucky on that count. Well we seemed to be lucky all the while we stayed in Beijing. I was not so lucky on the food scene though. Being a vegetarian, my gastronomic needs have become frugal over the years while travelling abroad. I’m happy if I get something vegetarian to eat – pandering to the taste buds was really secondary. Beggars can’t be choosers you see! When I had my local colleagues around during meal times, I had no problems with the food. However couple of times when we had to fend for ourselves, putting it across to the hotel staff on the “Vegetarian” needs turned me to a “Sridevi”. In fact a short course on “Mandarin-Vandarin” before the trip would have been a great idea. I was told that for the Olympics, China really went on an “English” overdrive to take care of the visiting guests. Well, one trace of that was not visible during my short stay. Even in a 5 star hotel, the staff struggled to comprehend our “English-Vinglish”! There are hopes though. I was told that in the schools now, English is a mandatory language for the children. Maybe a trip to China after 10 years would throw up a different experience on the English front. We were told that we would need more than half a day to cover the “Great Wall of China” which I was quite keen on. Since we didn’t have that kind of time, we had to settle with other tourist spots close by. 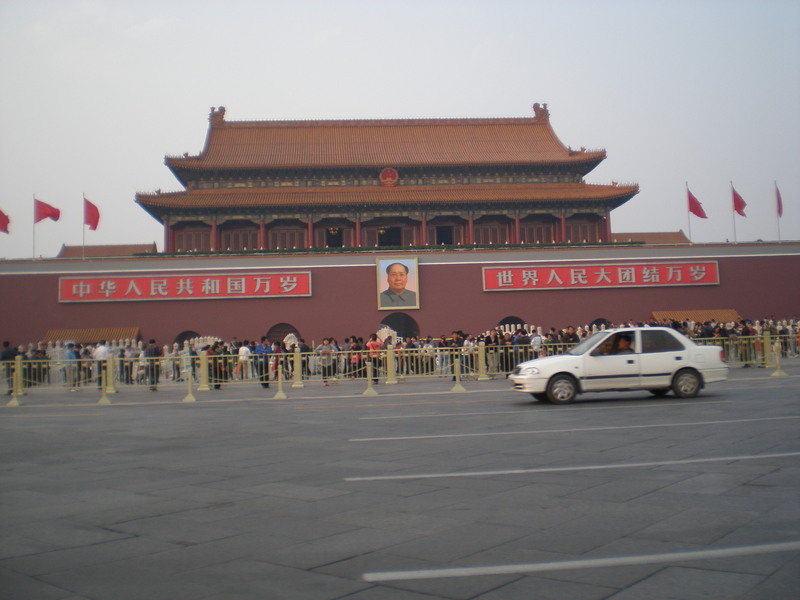 A drive to “Tiananmen Square” was made possible. For the local Chinese Tiananmen Square is a place of great cultural connect. It houses a war memorial like monument, a mausoleum and one can see 2 gigantic visual displays today. For the ‘Golden week’ the previous week, the entire square which can house I guess thousands of people, was well decked up and could see the sense of tourist importance. However for visitors like us Tiananmen Square only brings memories of the 1989 killing of the students by the Chinese military. There is obviously not one shred of evidence of that event around. When I asked my local colleague what was the exact number of people killed in that massacre, the answer I got was “Secret”. Having read that the number could be in thousands, while spending time in that square I couldn’t help spare a thought for the young lives which were taken away by their own protectors. I also couldn’t resist thanking our stars and our founding fathers for guiding our nation in the path of democracy where we have freedom of expression as a fundamental right. The Chinese economy is in the news these days. Well it has been in the news for more than a decade now. But just that this time the news is not good. The GDP growth rate expected at 7.5 % this year will be lowest in the decade. The transformation of China since the 90’s has been unbelievable. The government over the years has invested heavily for the growth and has helped lift people from poverty and raise income levels across the board. About 25 mn. I-Phones are expected to be sold in 2012!!! And I-phone is not a cheap product. With all this, what about the “General Happiness Index”? Are people in general happier than before with the overall growth and all that jazz? Well, surprisingly or may be not so surprisingly the answer I got was on the negative. With the growth tapering, there is a feeling that China must have gone for an overkill in terms of investment which is now not sustainable. China also is on the cusp of a leadership change sometime in November. Though it is not expected to bring any paradigm shift, uncertainties do exist I thought. All these and the raising costs have brought their own insecurities in the minds of people. While in the taxi driving back to the Beijing Airport at the end of the short trip, comparison between India and China was obviously on my mind. And I concluded that comparisons were odious. In my formative years I was always of the opinion that in a country with very high population like India, it is almost impossible to solve its basic problems. China proved me wrong. It showed that it is possible to have world-class infrastructure, alleviate poverty in short times even in a populous country if a country shows political will to do so. Having said that, if I’ve to choose between a pot hole free express highway and freedom of expression, my choice will be for the latter. P.S : A forceful break from social media thanks to the block of Facebook, Twitter, WordPress,… in China eventually proved that I was a confirmed “Likeaholic”!!! You may like to read my earlier post on China : Chinpressions – Part 1. It was a country which I was eagerly looking forward to visit for quite some time simply for 3 reasons. One, Seeing is Believing. Around 1990, the GDP of India and China were almost similar. Today 20 years hence, China’s GDP is 2.5 times bigger than ours! Was keen to see this miraculous change. Two, my trip to China twice in the past got scuttled and hence that added to the eagerness this time around. Three, was keen to know how a communist country has successfully “manufactured” Capitalism? It was a short trip that too on business to Shanghai with little free time to discover the city fully. Nevertheless that time was enough to feel spell-bound some times, amazed most of the times! The view of the city while landing reminded of Singapore with pretty views of symmetrical roads, tall buildings, and manicured golf courses –in short features of a planned city. Once out of the airport I could see a sudden rush of the local people to smoke and poor me I was engulfed in a chamber of Carbon Monoxide! With 350 mn. smokers, China is the smoking capital of the world. Later on I would read that smoking related diseases cost China up to US$47.6 bn. every year! (The Ministry of health was intending to include Anti-smoking drugs and related treatments in the nation’s public insurance system for this reason!) For a city which is supposed to be most populous city in China, what amazed me most was I never felt the city crowded and buzzing with people !! The weather was absolutely pleasant at 18°C and coming from Mumbai which had already started to scorch with the advent of summer, it was indeed a welcome change ! In Shanghai I could see majority of cars on the road being Volkswagen (including the taxis). I was told that depending upon where the factory was, companies get tax benefits and so the prices of a particular brand is lower in a region and that brand dominates that region. So Shanghai was VW city. While on the subject of cars, it was interesting to note that China became the world’s biggest market for BMW in April this year overtaking Uncle Sam! By the way, China is already the largest market for BMW’s premium segment rival Audi. While on cars, must add that 15th April the day I landed at Shanghai was the day of the “Shanghai Grand Prix”. Nico Rosberg won the race – but I was told that the race itself was boring as he led the race from start to finish ! It’s not uncommon to come into China with one’s own prejudices like – “everything would be cheap”. Well, it was not to be. I was in for surprise when I saw in a Hypermarket like Carrefour things were either more expensive or at similar price points as in India. Also generally branded things in the malls/stores were expensive than India. Another myth which got busted during my conversations was that labour in China is very cheap. It seems that it is no longer the case. The minimum salary/month for a factory worker is fixed by the Govt. at US$ 200. And this is irrespective of the location within China it seems. What differ from company to company are the benefits like Overtime multipliers, housing,.. I’m sure there are cities in India/Indonesia/Vietnam where the labour costs are around US$80-US$100 /month. However it is the manufacturing ecosystem which is prevailing in China which makes it the factory for the world. While on this “low cost ” issue I would like to share this article from “The Economist” which I just stumbled upon which almost reinforces my above finding on ” Low Cost China myth”. Similarly as I prepared for the trip, I also was mentally preparing myself for the gastronomic ordeal I will have to go through being a Vegetarian. Well, it was not so bad. Throughout my stay I never encountered the familiar trappings of an emerging economy like fleecing taxi drivers, beggars in the streets, touts in the markets,.. which reminded me of the fact that China is no more an emerging economy but an economy which has arrived. But some old habits die-hard. So you could see drivers honking loudly, cigarette butts all around, aggressive lane cutting while driving,… And interestingly in some of the buildings one could see rods protruding out of the windows and were used for hanging clothes. It is my usual habit on foreign trips to engage in friendly conversations with the cabbies to understand the country behind the headlines/breaking news. However I couldn’t do this here due to the language barrier Great wall! Since I couldn’t believe my eyes that things are so very expensive, I enquired at the hotel specifically for the market for cheap goods. Then they told me the existence of “Official” fake markets where the “Louis Vuittons” and the “Burberrys” of the world get hawked by enterprising Chinese salesmen/girls to hapless ‘Gora’ tourists at sky rocketing prices. These are the epicenters for “IP” violations! The general rule here is to offer 10 % of the quoted price and settle down somewhere between 25 – 30 % of the original quoted price!!! Shopping here could be a very unique and adventurous experience for many though I suspect not so much for us Indians! “FDI down for 5th month” screamed Shanghai Daily, “Fifth FDI fall amid EU woes” said China daily on the 18th April both leading English newspapers. This showed the importance the Chinese were attaching to FDI as a means for propelling their economy. So here we are at China the capital of Communism expressing serious concerns of falling FDI while back home our communists and their ilk block FDI of any kind and treat it as a four letter word! Time to pack up – I was told not to miss on the “Maglev train trip” experience to the airport. 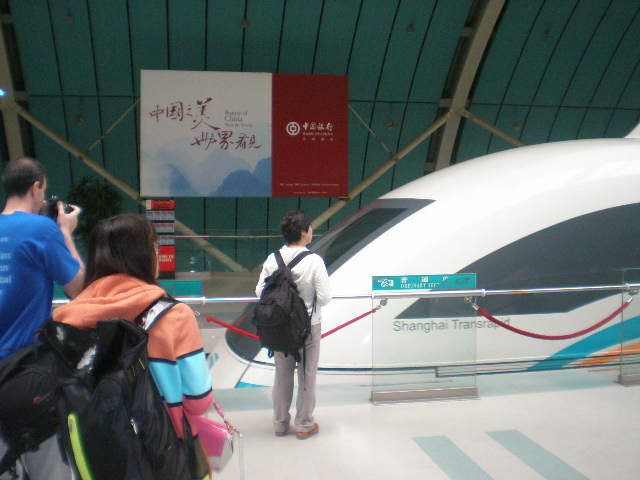 The Maglev (originating from Magnetic Levitation) trains have been operational in Shanghai from 2004 and connect the city to the Pudong International airport. A distance of about 29 kms. was covered in 7 mins. and 20 seconds flat! 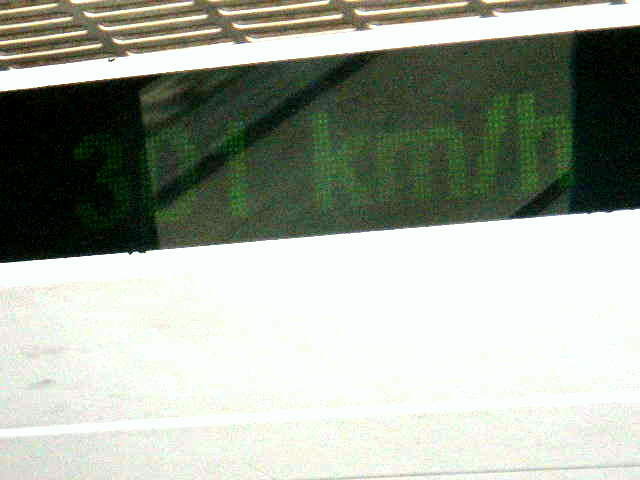 At 301kmph the loudest noise was not of the ticking clock! Not surprisingly it is a tourist attraction in Shanghai today! Few years ago the CM of Maharashtra said that they would transform Mumbai into Shanghai in 5 years. Either he was blind or we the people who keep voting for their party are dumb, I don’t know. But the politicians who are running our country oblivious of the strides the world is making and failing our nation are certainly blind, deaf and dumb. As I was waiting for the boarding call near the gate at the swank Pudong International airport at the end of my visit, I couldn’t resist a key question. If China has made such giant rapid strides which are visible and the Govt. has been an enabler in this transformation, why should it fear public opinion? Why should there be such tight controls on freedom of expression? Why should Facebook/Twitter or for that matter WordPress be muzzled??? A three-day trip that too on business was too short to find answers to such intriguing questions. Do you have any views on this? I would be keen to hear.